As the results of latest improvements from OnyxStar®, XENA is a highly professional drone. It has been designed in accordance to robustness, quality, versatility and efficiency fundamentals. As the world most compact octocopter ever built, XENA fits in a small protective case making transportation on field and storage really easy. Thanks to the cutting-edge electronics and accessories embedded, XENA can perform fully automated flights, from take-off to landing. Numerous safety features are included in the XENA. These automatic failsafe procedures ensure flying in complete peace of mind. XENA is a rationally designed system. It runs with a single battery which greatly simplify supply management and operations on field. 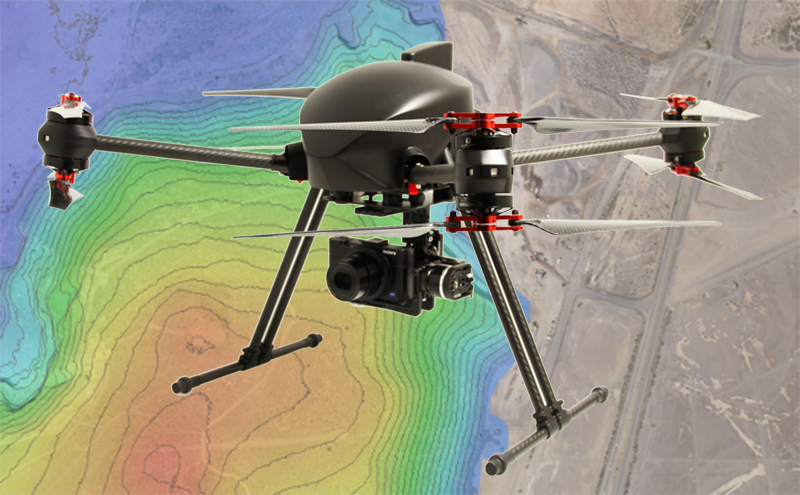 Thanks to its rational and smart conception, XENA is a multivalent tool that can be operated on any kind of drone applications. As a modular drone, XENA can be upgraded with several options including Real Time Kinematics centimetric precision positioning. In accordance to OnyxStar’s philosophy, XENA is a versatile and powerful drone that can lift a broad range of sensors. XENA is operated by numerous professionals worldwide for their daily commercial needs. Payload: Optris PI 640, Flir Vue Pro R, etc. Payload: Tetracam ADC series, MicaSense Rededge, etc. Payload: Sony HX60V, Sony Alpha 6000, Flir Vue Pro, etc. OnyxStar is a brand of professional drone systems launched in 2013. As passionate workers, our skills are including designing, manufacturing, sensor integration, in-flight testing, upgrading and many others. OnyxStar aims at delivering smart and efficient solutions to its customers.